The Star Dreaming artwork on this pendant is by Australian Indigenous artist Alma Nungarrayi Granites. The photoanodized aluminum pendant is 2&frac18; inches long and 1 inch wide, with sterling silver end caps. Lightweight by design, the Star Dreaming Pendant weighs just 8.5 grams. Made of photoanodized aluminum and sterling silver. Hand crafted in Australia. An 18 inch black silicone rubber cord with an innovative easy to close clasp is included with each pendant. 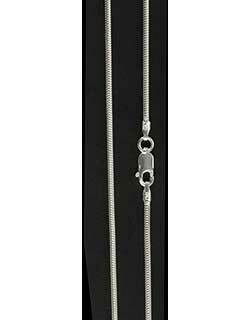 If you prefer a silver chain, we suggest our Sterling Silver Snake Chain (sold separately). Our Leather Choker is also a great choice to complement the pendant. Created by designer Lisa Engeman, Occulture is a collaboration with Australian indigenous artisans transferring ancient stories and knowledge into contemporary statement jewelry that celebrates and strengthens the songline of culture, knowledge, artists and community. The photoanodized aluminum jewelry with sterling silver fittings is handcrafted in Australia using cutting edge technology. Lightweight by design, the Star Dreaming Pendant weighs just 8.5 grams.